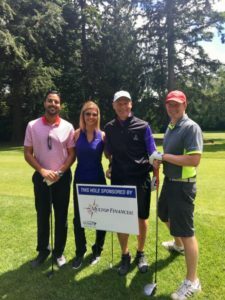 Left to right: Herman Sihota, Lettie Vigoren, Bill Keeler & Vincent Buys participating in the NW WSPA Golf Tournament at Bellingham Golf and Country Club. 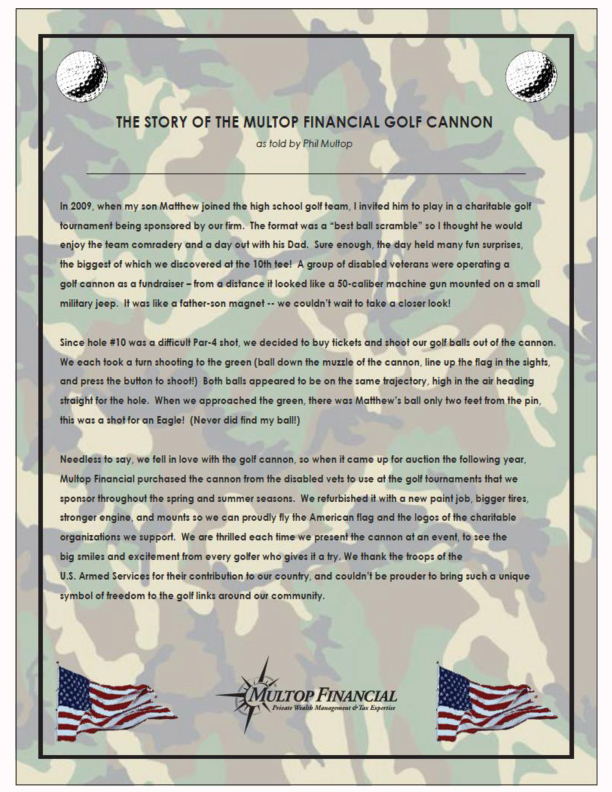 The Multop Financial golf cannon has had a busy summer out on the links! 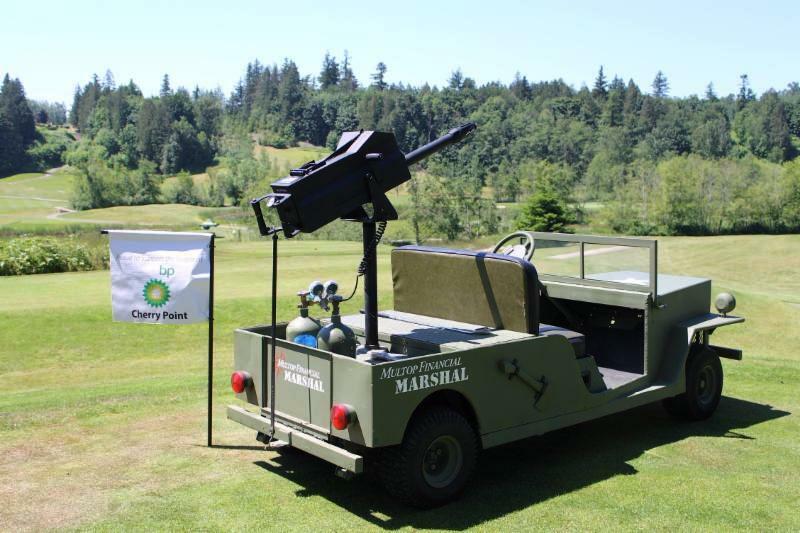 “The Marshal” has participated in a number of golf tournaments and special events in Whatcom County. We love getting the opportunity to share the history and meaning behind the cannon, along with supporting many great causes in the community. Golf tournament appearances this summer included the Red Cross Foundation, the Glenn Gadeburg Memorial and the Golden Eagles Ferndale High School Football Team. We also had the opportunity to participate in the 7th Annual Car Show in support of Vietnam Veterans of America. For those of you who don’t know, the golf cannon was purchased through an auction to benefit disabled veterans. We refurbished it with a few cosmetic upgrades and added mounts to proudly display the American flag and logos of the organizations we support. Gayle, Author at Multop Financial | (Page 3 of 3). Multop Financial provides personal, client-based financial planning. Services include private wealth management, advisory services & tax expertise.